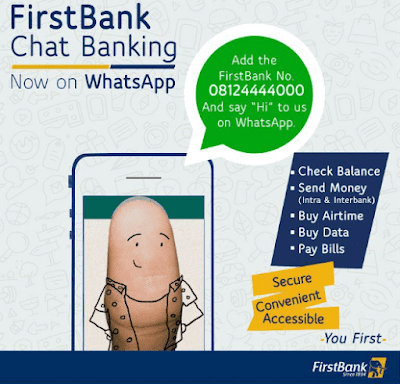 First Bank of Nigeria Chat Banking on Whatsapp has put in motion since August 1st this year, at that point, it was available to a select group of customers. Thank God, it is now available to all customers. With First Bank chat banking on WhatsApp, it is not just about staying connected with friends and loved ones, but also keeping in touch with your bank anytime and anywhere you are. 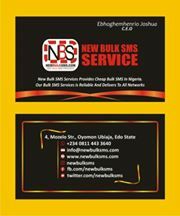 Through the FBN Chat Banking, you can send and receive money, check your account balance, buy airtime and data, pay bills and so much more. This new innovation promises a very fast, secure, convenient and accessible mode of banking. Make sure that the number you are using for WhatsApp is the same as the one you used in opening your bank account with First Bank of Nigeria. 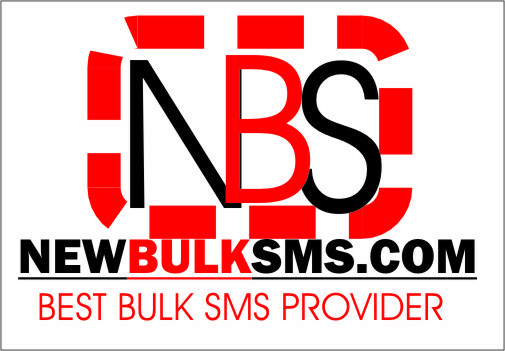 If that has been done by you, then, Add them on WhatsApp via this number – 0812-444-4000 and start banking with them. Good news for the users of Tecno Camon C9, as you can now enjoy the new and latest operating system on your device. Below are the features of the updates. 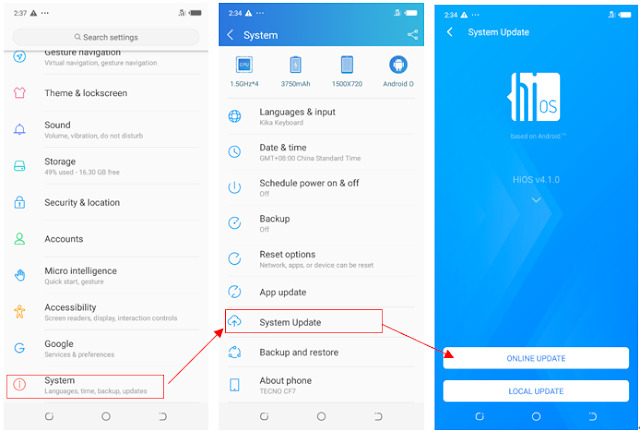 Before you think of carrying out this update, make sure you unroot your phone if it is rooted and also revert back to stock ROM if you installed a custom ROM to avoid stories that touch the heart. You probably need to connect to a fast Wi-Fi network or subscribe for the affordable data plan to download, make sure your phone is not rooted, because the update may crash rooted devices and also charge your battery to at least 70% before proceeding with the software update. Go to your phone "Settings" click on the "System"
If it's available, tap on "Download And Install" to download the latest update on your phone. Relax and wait for the new update to fully install. After successful installation, your phone will be rebooted and you are good to go. Take note that the first booting process might take a few minutes to complete. Multichoice Nigeria, leading pay TV company, has announced a special offer for the DStv Explora decoder at N29,900, a 43 per cent reduction from its original price of N52,100. The slash is only available at the 38th Lagos International Trade Fair, billed to hold from November 2 till November 11, 2018 at the Tafawa Balewa Square, Onikan in Lagos, will also see a reduction on the HD Decoder, dish, plus one-month compact subscription to N9,900. The leading Video Entertainment Company added that the DStv Explora is bundled with one-month Compact subscription. As a customer first organization, our core aim is to improve our customers' experience, whenever and wherever they engage with us. The Lagos International Trade Fair is always a great opportunity for us to fulfill our brand promise of providing the best entertainment that will suit different lifestyles and pockets. He added that the recently revamped Compact package boasts of over 120 channels consisting of live front row football action from the Premier League, Serie A, La Liga and perfectly picked local drama series, action movies and other lifestyle channels. He noted that customers stand a chance of winning exciting prizes such as 1.5 KVA generators, 6kg camp gas with stainless steel burner, five-piece aluminum pots and 32-piece dinner set via daily lucky dips at the fair. In addition, GOtv brand ambassadors, Daddy Showkey and Mr. Ibu and other Nollywood and Big Brother Naija celebrities will be on ground to meet and greet customers who come to the DStv and GOtv stands. The 2018 Lagos International Trade Fair is organized by the Lagos Chamber of Commerce & Industry. The Fair is staged with the support and co-operation of the Federal and the State Governments and covers all aspects of business and economic activities in Nigeria. 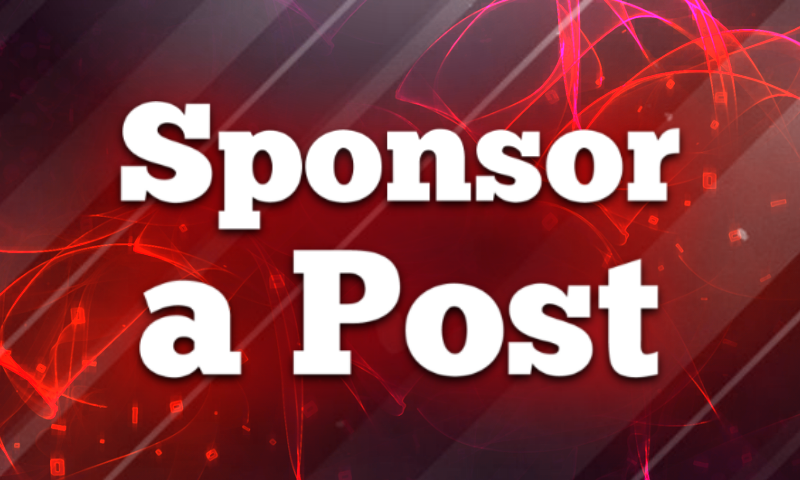 It offers a unique exposition for manufacturers, suppliers, buyers and users of a wide range of goods and services as well as opportunities for investment and trade promotion. Airtel's 4G LTE network will cover 100 cities across Nigeria before the end of March 2019, the Managing Director/Chief Executive Officer of Airtel Nigeria, Mr. Segun Ogunsanya, has said. He disclosed this at a media launch of the 4G LTE network in Lagos. Airtel has deployed its 4G LTE network in 56 cities, across 16 states in Nigeria since it first rolled out its 4G services in Ibadan on February 13, 2018. Other cities already connected on the 4G LTE network, according to Ogunsanya, are Ilorin, Aba, Onitsha, Calabar, Benin, Warri, Kaduna, Enugu, Zaria, and Port Harcourt among others. "Airtel's 4G network is now in over 56 major cities and towns in Nigeria across 16 states, making Airtel the network with the widest and largest 4G coverage in the country," he said. Ogunsanya said the launch of Airtel 4G in Lagos "serves as a glowing testimony of our commitment to partner and empower the good people of Lagos, a truly cosmopolitan state where dreams come true. "We know Lagos has its own spirit – 'a can-do spirit' and it also has its own peculiar energy, which is very fast-paced. The good news is that Airtel 4G will help everyone in Lagos to do more and achieve more, regardless of status and location." The Airtel boss further said: "With the fast mobile internet, a young professional will be able to use his map to understand the traffic network, plan and connect with the right people. The tailor will be able to take measurement through video calls; the fish seller will be able to share photos and short videos of his current stock. Ditto every other person." the Airtel 4G LTE launch would give customers the opportunity to do more while browsing the internet at high speed. He, however, noted that Airtel would not relent but continue to roll out the service in other cities that are yet to be covered by its 4G LTE network. Airtel 4G coverage in Nigeria was zero at the end of 2016, the year that competitors rolled out their 4G services in Africa's largest mobile market. But the operator has caught up and now has the widest 4G coverage in the country. A year ago, Airtel 4G was conspicuously absent anywhere in Nigeria. Competing mobile networks like MTN, Etisalat, and Glo had all launched 4G LTE services as far back as 2016. 4G-only networks like Ntel and InterC had joined Smile on the scene as well. It is not that the network was averse to deploying 4G LTE in Africa. It had launched its first 4G LTE service in Seychelles as far back as 2014 and had 4G ready in Kenya in 2015. 2016 was the year of 4G in Nigeria, and Airtel was not in the game, and Airtel 4G coverage in Nigeria was zero. Yet, as we rush towards the end of 2018 at full speed, Airtel's 4G coverage in Nigeria is the widest. The red network successfully rolled out its first 4G network this year and has spread its tentacles to cover almost 60 towns and cities in 16 states across Nigeria. That is wider than Glo 4G and wider than MTN 4G. 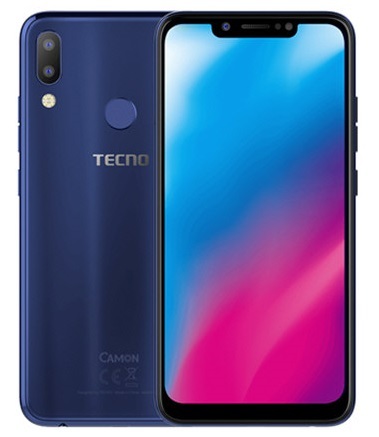 The Camon 11 and Camon 11 Pro are new Tecno smartphones to joined the Camon series, expected to be launching soon in Nigeria, It has already been launching in India as Tecno Camon I and Camon I Pro. Below are the information we have for you about those two smartphones. The Camon 11 has a 6.2-inch FullView notched display and rear dual camera. Under the hood is a MediaTek chipset, options of 3GB and 4GB RAM and a 3750mAh battery. Beyond the base Camon 11, there is a Pro variant with a higher specs, 6.2HD FullView display, 6GB + 64GB onboard storage, 16MP + 5MP dual rear camera plus 24MP front-facing Camera, 2.0Ghz Quad-core processor. It comes with the same battery capacity of 3750mAh. Just take everything with a pinch of salt. The real images and specifications of the Tecno Camon 11 and Camon 11 Pro will be communicated to you as soon as we have official info. 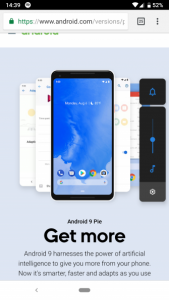 Android 9 Pie is the ninth major Android operating system update. Android 9 Pie is the ninth major Android operating system update. It's Google's solution to all the shortcomings all the other android operating systems versions had. The Android 9 Pie packs features Google consider to be imperative for android smartphones in 2018, to fully utilize the near infinity display found on most Android smartphones. In this article, I am going to be giving a list of features of android 9 Pie, Giving reasons why you should upgrade to Android 9 Pie and also giving a tutorial on how to upgrade to android 9 Pie. Navigation on Android devices has some history behind it, it began with hardware navigation keys, which were usually found on the bottom bezels of Android devices, to software navigations keys known as Android soft keys. Later on, Android users were also given the ability to hide these android soft keys when not in use. 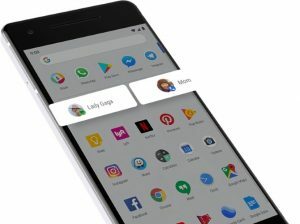 With the release of Android Pie, Android users can totally disable android soft keys and make use of a new Gesture navigation system that will allow for more screen estate. So you have the choice to either make use of the former android keys or Gestures for navigation. Getting to learn these android pie navigation gestures may take some time, but ones you get the full thing, it shouldn't be much of a burden to you. Apple users who currently own the iPhone X or higher, wouldn't find this navigation system strange, because it's exactly the same thing on the iPhone x. To open the app drawer, You are required to quickly swipe twice on the home button. To immediately switch to previous apps, swipe right quickly and release. Opening Google assistant, Press and hold the home key to trigger it, which is that persistent pill shaped icon. As earlier said, Getting to learn these gestures nav controls will take a lot of time, but like everything in life, practice makes perfect. The more you do it, the more you understand it. How bright the display of our smartphones gets is something that tends vary in different conditions, owing to the way our eyes react to varies the intensity of light. In bright areas, we usually increase the brightness of our smartphone display so we can see characters clearly. While in the dark will reduce the intensity of light so that our eyes won't get damaged. Adjusting the level of brightness on our brightness display could also be as a result of the theme of the app we use. Apps with a brighter theme usually require we reduce our bright more in dark areas and increase brightness more in well light areas. The opposite is the case when it comes to apps with a brighter theme. In order to reduce stress, android pie features an advanced adaptive brightness that allows Android smartphones to automatically adjust brightness, depending on the app that is open. To teach your device adaptive brightness, you are to bring down the notification shade twice before adjusting brightness. This process should be repeated on all apps. Adaptive battery learns how you use your apps daily. Apps that are regularly used are set to consume lesser battery using this feature. Notifications received on such apps are usually delayed. To activate the adaptive battery, kindly navigate to settings > Battery > Adaptive battery. 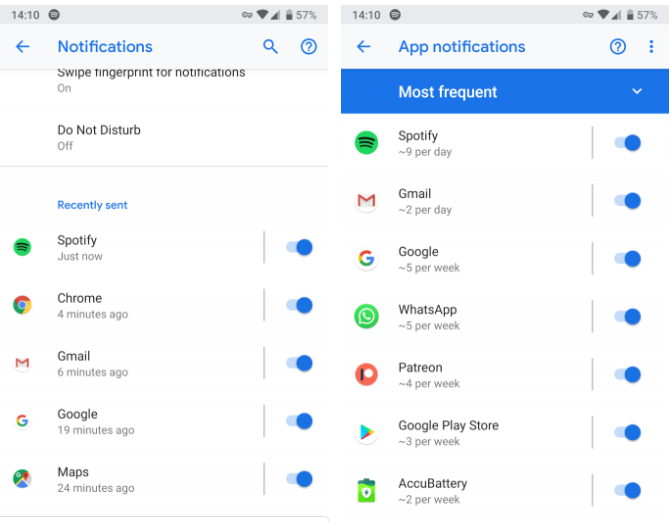 App Actions feature on the android pie learns about the app you use mostly use and offers them as suggestions at every point you time, it thinks you will need it. If your daily routine involves opening your Google maps in the morning to get directions, App action feature will bring up suggestions to opening the app, in the form of pop up shortcuts. Another scenario would be when you plug in your headphones, you get pop up shortcuts to jump into your favorite playlist. Slices functions are very similar to that if App actions. Instead of making pop up shortcuts at intervals, slices will allow you to jump into certain functions of the app when you search it in your launcher. 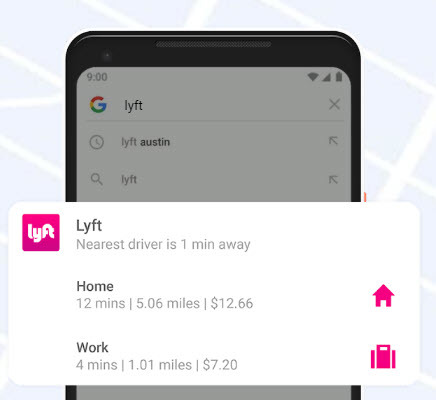 Google says that if you search for Lyft on your phone, you'll see a shortcut to hail a ride to work, complete with price and ETA. Normally hackers through their downloaded app can gain access to your mic and camera immediately you grant permissions even if the app is not being used. But with the all new android pie, hackers would be denied such access. android pie restricts access to a mic, camera, and all sensors from apps that are idle. Such apps will only gain access to your mic and camera only when they are being used. 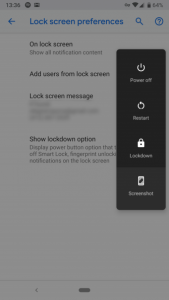 android pie also features a new lockdown mode that protects your phone. With this new lockdown mode, it will be impossible for people to force you to open it if you do not wish too. When lockdown mode is activated, fingerprint lock and smart-lock will be disabled, also your notifications will be hidden. You will be left with only Pin and pattern as a means of unlocking your device. Digital Wellbeing provides data of all the notifications you use received in a particular range of time, time-consuming apps and how long you use your smartphone. You can also set daily time limits to keep yourself from wasting hours in time-sinking apps. This feature is geared towards helping users to be less addicted to their smartphones. Still, on addiction, android pie also features a Wind Down mechanism which fades your phone to grayscale when it's time to sleep. It makes your smartphone to becomes interesting to you. Google also improved the Do Not Disturb Feature. On android pie, The Doesn't just turn off audio notifications but also turns off visual notifications to reduce distractions to a minimum. 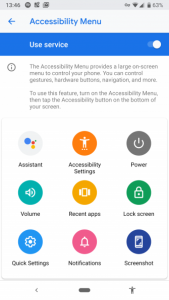 Android Pie features a new accessibility menu, that makes accessing most of the functions we use mostly on our Android smartphones a breeze. To activate this feature, Navigate to settings > Accessibility > Accessibility Menu. Turn on the Use service slider and confirm the prompt, and you'll see a new icon to the right of the navigation bar. Tap this anytime to bring up a large menu with shortcuts to Volume, Recent Apps, Quick Settings, and more. Since inception, the only way to take screenshots in the Android operating system has been holding both the power button and volume down button. 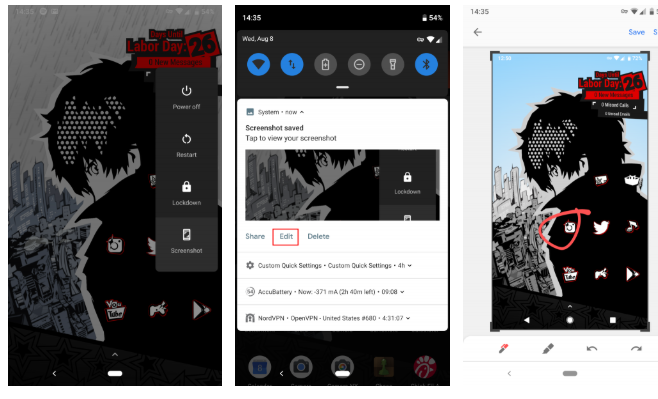 Android pie introduces a whole new method of taking screenshots, this method takes some of the stress away. The screenshot shortcut is now embedded in the power menu. So when you tap the power button, you will find the Shortcut button there. In previous Android versions, options for screen rotation are Stay in portrait or rotate when turned. Having to always turn on-screen rotation before you get landscape views can really delay the fun in some content viewing. android pie is making screen rotation easier. When watching videos or viewing, a new icon with be placed side by side the pill button on the Nav-bar. Tap it to lock in landscape orientation, and it will stay even if you turn back to portrait. Just tap the icon again to rotate back to portrait. When you price your volume control keys, the volume adjustments slider will now appear on the side, instead of appearing on the bottom, like it used to in other Android versions. Also pressing the volume adjustments keys will immediately affect the media volume in default, instead of ringer volume like it used to on other Android devices. Plus you can tap on the music note icon to immediately mute volume. android 8 Oreo featured dark Mode, but it wasn't something you can enable by yourself. It only comes on when a suiting wallpaper was applied. On android Pie, you have the ability to enable dark mode when you desire. 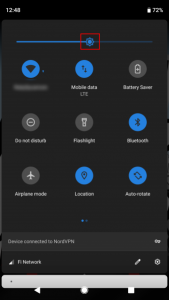 To enable dark mode in android Pie, Navigate to Settings > System > Display > Advanced > Device theme. If you desire to see which apps are sending distracting notifications, head to Settings > Apps & notifications > notifications. In the recently sent section, you can see which apps have pinged you recently. Tap See all from last 7 days to view more info. Please note that the android Pie also features a more colorful Settings menu, refreshed fonts, and rounded corners across the OS, when compared to the previous android 8.0 Oreo. Continual usage of the Android Pie, you will discover more features. android 9 Pie was also designed to supports cut out in the display, particularly notches, which has become a trend among smartphones. This list of features contain the most noticeable features android Pie has. But as you continue to use Android 9 Pie, you will discover more features not mentioned in the list. Some Smartphones in 2018 are going to come preloaded with android Pie, while others won't. You should be aware that if your smartphone manufacturer has plans to make android 9 Pie upgrades for your android device, updates would be pushed over through an OTA update. Is Android 9 Pie Any Good? Yes, it actually is. android Pie as early said fixes all the shortcomings other Android versions had. It was designed to meet up with the trend of 2018 technology. Unlike the 2 previous Android versions, Android Pie has a lot of iterations, giving it a whole new feeling in operations. Airtel undoubtedly offers the cheapest midnight data plans one can think of in Nigeria. Airtel night plans allow you to browse during the late night hours. 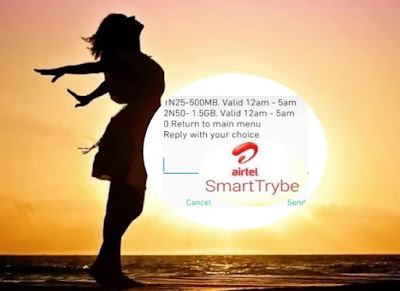 Airtel night data plans can simply be activated by migrating to SmartTrybe tariff plan through *312# and then option 1 to Migrate. After that, you can dial *312# code again, then choose option 3 (Trybe Night Browsing) from the on-screen options and select your preferred Night Plan. With just ₦25, you can get 500MB to use for one night from 12a.m. to 5a.m., while ₦200 will get you 1.5GB on the same conditions. MTN and Airtel network are the only network providers that don't have the function on how to check night data balance with just a USSD code. Nobody can be happy to see his or her data night plan got consumed without any information about the usage. 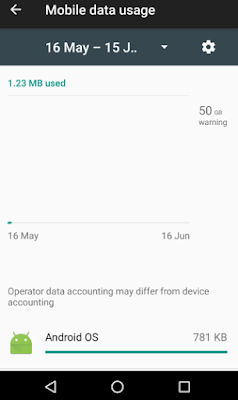 The post has already been made on How to Check or Track Your MTN Night Data Balance. We also have good news for Airtel Night data plan users. There is a workaround that is actually useful for checking data for all plans and bundles. The only downside of it is that it is not as easy as just executing a simple USSD command. In this article, you will be provided with a useful tip on how to track or check your night plan data balance. On your Android phone, select your Settings. 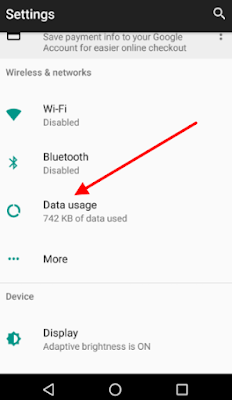 Go to the menu with Data Usage. On double device, choose Airtel NG option or Mobile Data Usage on single sim device and you will get the statistics how you are using your data. Choose your current date, I mean the night when you've purchased your night browsing plan. You will see your data consumption information available there. Now you know the trick how to track your Airtel Night Plans data balance. 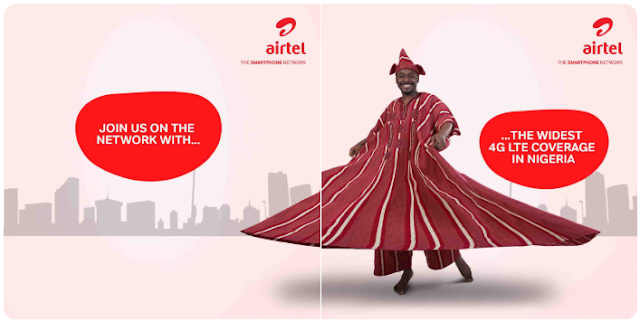 If you have any other method to check Airtel Night Data Plans, kindly share it with us via the comment box below. One of the most talked about smartphones in the new line of devices announced by Apple is the iPhone XR. This article is simply an in-depth review of the various specifications, features and the price of the iPhone XR. Despite being cheapest among the three recent release from Apple (iPhone XS, iPhone XS Max& iPhone XR), the iPhone XR is a very nice phone that is capable of carrying out almost any normal task thrown at it. The iPhone XR has an inbuilt fingerprint sensor that serves as the main security and also supports Face ID. The device will be available in more than four color options i.e.Black, Blue, Coral, Yellow, & Red. Firstly, the iPhone XR features a modern iPhone design which comes with a notch at the top. The bezels of this device seem to be slightly larger than the iPhone XS and iPhone XS Max, and you likely may not feel it except you're moving from an iPhone X to an iPhone XR. It has a large display of 6.1 inches which is between the 5.8-inch iPhone XS and the XS Max 6.5-inch display. 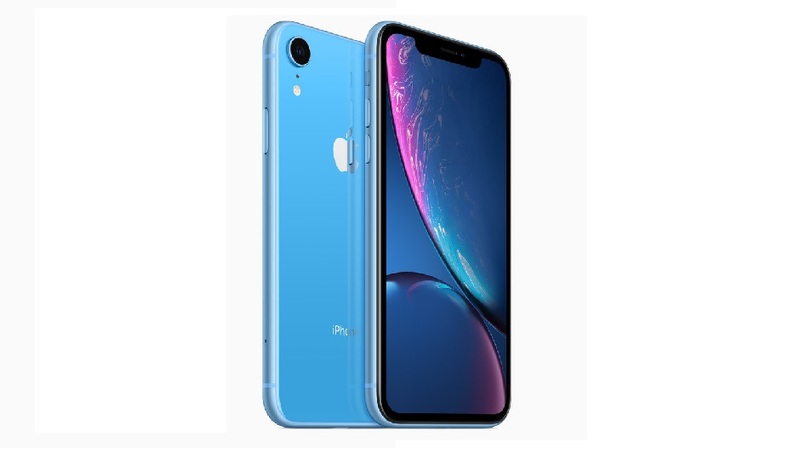 The screen display of the iPhone XR is an LCD display and according to Apple is called a Liquid Display. The screen resolution is 1,792 x 828 with True Tone support and many more, but the sad thing is that the iPhone XR does not include a 3D Touch. At the rear (back side) of the XR is were you find the biggest difference from the iPhone XS and XS Max, while the two that are more expensive than the iPhone XR feature Two cameras, the iPhone XR only houses a single-lens camera. You will see more of the camera specs at the camera section. The iPhone XR also supports wireless charging because it comes with an aluminum frame like other modern iPhone models. The device also has an IP67 water-resistance. The storage options of the iPhone XR is different from the iPhone XS and XS Max. The XR has a storage which starts from 64GB for all models, while the two other two new iPhone (iPhone XS and XS Max) features options like 256GB and 512GB, the iPhone XR offers 128GB and 256GB options. yet, it seems to be more than enough for the majority of the users — coupled with the cloud storage of the XR. Apple didn't give us a specific amount of how many hours the battery life of this device can carry us. But, according to them, it lasts an hour and a half more than the iPhone 8 Plus. We mentioned earlier, that the biggest change in the characteristics of the iPhone XS and XS Max, is the iPhone XR features only one single-sensor camera. And this means the device won't offer some features like the Portrait Mode. The iPhone XR camera actually supports Portrait Mode, but it is through machine learning and not through the dual-sensor camera like we have in the iPhone XS and XS Mas. At the back of the iPhone XR is seated a 12-megapixel camera with an aperture of f/1.8. The iPhone XR front camera features the same TrueDepth camera system found in the iPhone XS and iPhone XS Max, and this means you have the same Face ID features found in the recent models of iPhones. The iPhone XR houses Apple's new A12 Bionic processor, which is the first 7nm processor and capable of offering you an ultra-powerful experience. The device also comes with a 3 GB RAM and this will ensure the device runs smoothly coupled with the internal memory of 64 GB will ensure even when running intensive applications on the device, it will show no signs of lag. The new processor in the iPhone XR, A12 provides 30% faster app launching and a whopping 50% improvement over the A11. According to Apple, it offers a number of improvements both in the battery and performance and has significantly enhanced image signal processor (ISP). iPhone XR features a Non-removable Li-Ion 2942 mAh battery, which Apple claims it offers 1.5 hours more than the iPhone 8 Plus and this makes it one of the best iPhone batteries ever. At the Gather Round event in Cupertino on Wednesday, Apple unveiled the iPhone XR, and one aspect of the device's specs stood out. Phil Schiller made mention of the XR battery and said it will get 1.5 hours more of battery life than the iPhone 8 Plus. And this makes it the longest-lasting iPhone ever. Audio playback (wireless) ~ 65 hours. If you want to compare, the iPhone XS talk time is up to 20 hours and 12 hours for the Internet, meanwhile, the iPhone XS Max made claims of 25 hours for talk time but 13 hours only for Internet time. Colors ~ Black, Yellow, Red, Coral, Blue. like spending much on Smartphones. 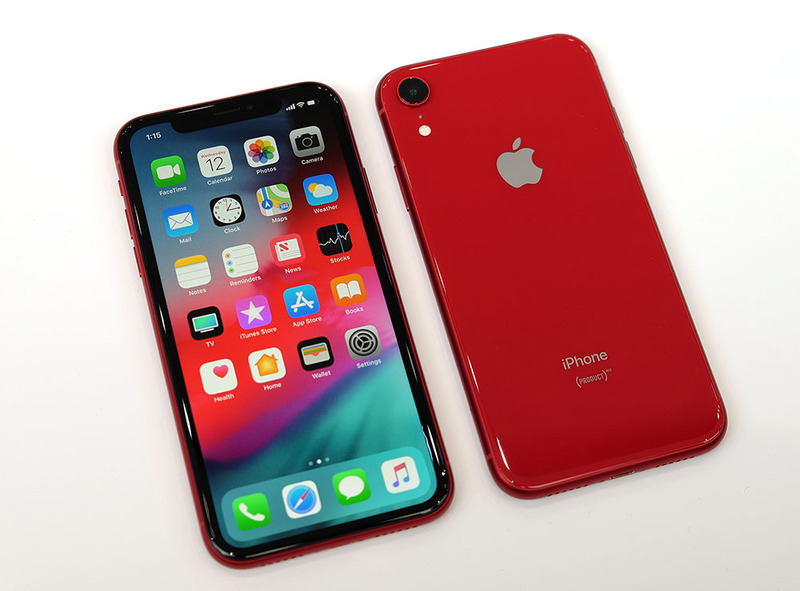 Apple iPhone XR is an exciting new addition to the 'X' family, and one of the reasons is its more exciting the cost; it very much affordable and it is also the cheapest of all the iPhone X-family. The 6.1 inches device is a nice one for media lovers, coupled with its A12 Bionic chipset, the device is sure to be a speed demon. But, you just have to try it out yourself. below are the answers to all you need to know about the Samsung Galaxy Note 9. It's finally available, after the series of unending rumors, leaks, and so much more, the Samsung Galaxy Note 9 has been officially unveiled. Though we already have a lot of knowledge about this device as a result of the various leaks and rumors even before it was officially announced. And there is more to be talked about. Like, why should I use this device? How many colors does it come in? During our hands-on preview was this device an impressive one? Just stick with us and all the above questions and many more will be answered right in this article. Without wasting any more time, below are the answers to all you need to know about the Samsung Galaxy Note 9. When it boils down to the design, the Galaxy Note 9 has a slightly unnoticeable larger Super AMOLED display. The edges of the Galaxy Note 9 still retains those slight curves with Edge Panel support; making the screen protectors a bit challenging to install. The design of the Galaxy Note 9 is not far different from the Note 8, it only features some exceptions like the S Pen and its Bluetooth radio and capacitor. The Galaxy Note 9, S Pen can be used for all S Pen functions even when the capacitor has been fully drained, the only difference is that you wouldn't be capable of using the remote functions. The fingerprint scanner is no longer located by the side of the cameras but has been relocated to the center back of the device. The fingerprint scanner is a lot faster now. Currently, there are only two colors of this device available in the US, the Ocean Blue, and Lavender Purple. Meanwhile, outside the US, you can find black and copper variants inclusively. While the 3.5mm headset jack is quickly disappearing from modern mobile smartphones, Samsung remains one of the few that still includes it. Though I am currently getting obsessed with the Bluetooth headsets, my sister's noise-canceling earbuds I occasionally go out with use 3.5mm. Fortunately enough Samsung features the wired earbuds with AKG tuning. The Samsung Galaxy Note 9 still features a Bixby button by the left side of this device, and it can't be programmed to do anything else other than the one originally assigned to it, but thankfully, it can be turned off. Samsung employed a new camera system for the Galaxy Note 9, it is completely a whole new camera system for the Note series. 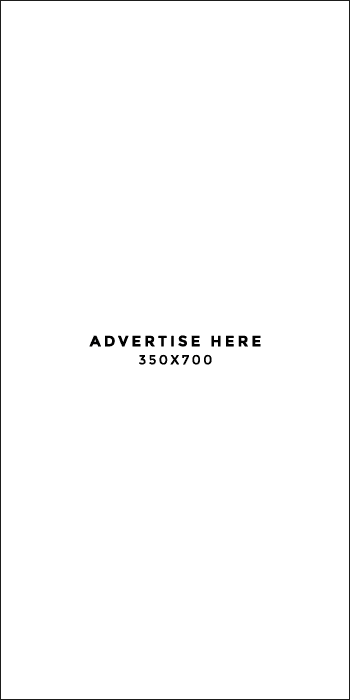 At the back of this device is seated a 12-megapixel camera that has a variable aperture of (f/1.5 + f/2.4). Seated next to it is another 12 MP camera, but one is a bit longer focal length for 2x zooming. Like the S9 Plus, the main camera sensor of this device features an OIS (Optical Image Stabilization), with a small amount of RAM that will help speed things up and 1.4µm pixels. One nice feature of the main camera is its dual aperture, which lets the camera change depending on the environment; If you want to take photos in the dark, the lens opens up to f/1.5 in order to let more light in, which helps in giving you a brighter picture. But, if there's more light, it will change to the f/2.4. The secondary camera sensor is also great and also features an OIS, but the difference from the main camera is that it lacks the other features. The 12-megapixel secondary camera sensor helps in adding extra details to both portraits and to zooming. But it has a narrower aperture which implies that it isn't particularly adept at night shots. This device also features the Samsung camera app, without the overwhelming or clunky feelings. For those people who like to take greater control of there shots, there is a Pro mode for you, which you can manually switch the aperture, and other features like the slow-motion video, panoramas, and hyperlapse. It also supports a 4K video recording which gives you a very good result: high-resolution footage that can be taken in both 30 or 60fps, stable and stead. 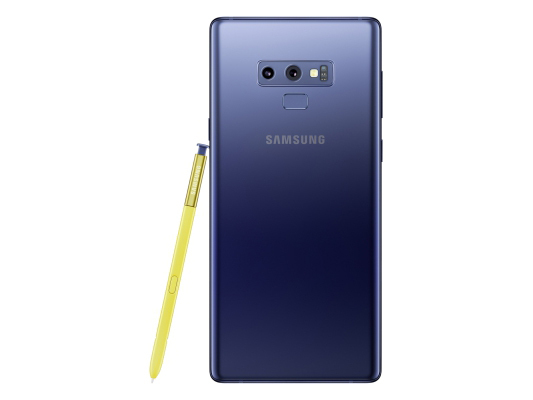 Unlike Google who named their recent version of processor Android Pie, the recently launched Samsung Galaxy Note 9 operates on the Android 8.1 Oreo and the Samsung Experience 9.5. It's not news to know that Samsung devices are always ahead of Google in terms of software releases that comes with great features and functions specific to Galaxy devices. And this time is no different, Samsung added the Google Android pie features like the hotspot timeout, the adaptive brightness, those magnifier pop-ups that you see during text selection and so many other features on the Galaxy Note 9.
advanced editing on the content of your camera. The Google images are very nice, but when boils down to editing those images there's nothing to write home about and this is another place that the Samsung has an edge. There are lots of unique features that Samsung cameras come with, like the super slow motion video creation. This device has been performing well for some weeks since I started using it and you notice its good performance when watching videos, playing high-quality games like the Fortnite and listening to music and a whole lot of stuff. Samsung was unsuccessful with the Note 7, but then made a little adjustment on the battery capacity of the Note 8. Coming to the Note 9, Samsung fully went in and offered a whopping 4,000 mAh battery life that has gotten every moderate user through every single day. The Samsung Galaxy Note 9 battery life is sure a significant bump from the one of last year. The 4, 000mAh on this device will certainly deliver more gaming time and general usage. And if I can recall vividly, the only other smartphone that has been so far able to do this for me is the Huawei P20 Pro which also comes with a 4,000 mAh battery. The Galaxy Note 9 also features a Quick Charge and the Qi wireless charging. And this is one of the features that make up a 2018 flagship and it is very much needed in order to power other features on the smartphone. Sensors ~ facial recognition, iris scanning, fingerprint, pattern, PIN, password, and Google Smart Lock. The Samsung Galaxy Note 9 will cost $1000 on pre-sale for the 6GB RAM model, while the 8GB RAM will cost $1250, variant on August 10. The Galaxy Note 9 will be obtainable at the retail outlets from 24th of August. For Nigerians, the Samsung Galaxy Note 9 price is anticipated to start at around 370,000 Naira (370k). For those who enjoy a bigger screen, this device is for you. The Samsung Galaxy Note 9 only got bigger and better in every way than the previous Note phones, this device comes with a larger 6.4-inch screen, longer lasting 4,000mAh battery, and a whopping 1TB worth of storage option. 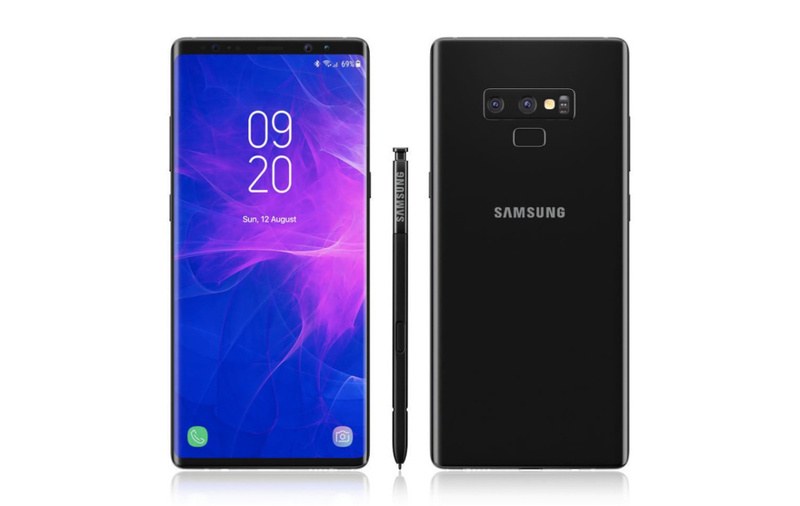 We already know that Samsung is known for their good cameras but this time, the cameras are slightly better, the Samsung Galaxy Note 9 features stereo speakers and it is the first for the Note, the Bluetooth S Pen can be fun especially with the remotely customizable shortcuts. In conclusion, this smartphone is that perfect device you have been waiting for, but its expensive and its price is higher than that of an iPhone XS Max. But, this is a great phone in every aspect. This is by far the best Phablet you have ever laid your hands on thus far. It features up to 512GB of internal memory and you can max out the capacity to 1TB with a removable storage. Want a device for productivity? Here you have one. Have you ever thought about using a Bluetooth controller for your device? 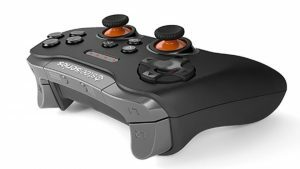 What is a Bluetooth controller For Android? Or game controller? Such a controller is simply a device that is used with entertainment systems or games. It actually provides input to a video game. It enables certain control of an object or character in the game. 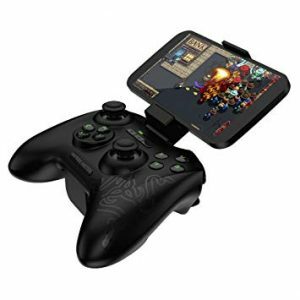 Bluetooth controller for Android is a game controller that has been designed to improve gameplay with dynamic experience. The controller's support is well-integrated in such a way users can freely and easily control their phone or tablet. 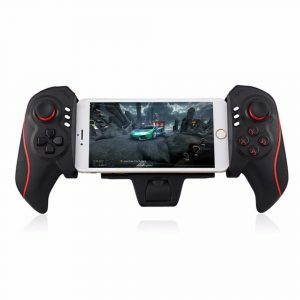 The salient quality about using a Bluetooth controller for Android when it comes to gaming is that you have plenty of options within your grasp. Android controller support is much more widespread. Why the Use of Bluetooth controller? You need to consider crucial things about the controller right before use. 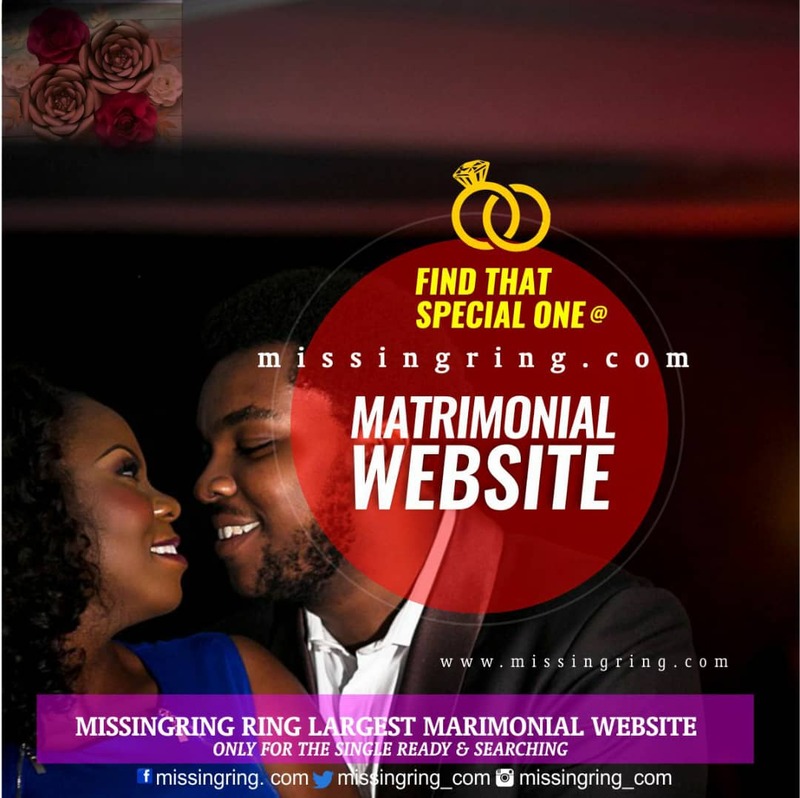 It's vital to know it's compatibility if not, users are likely to find a little snag. Most controller often pairs with newer software. That doesn't mean that you're necessarily out of luck… The way it works for older software is unreliable, unpredictable and at times not at all. Even if your phone is a new Android version it's not always plain sailing –not all games take advantage of controller API on Android. Users and also try a third-party app that enables the remap of function buttons, keys and what not. But you must note that you need a rooted device to grasp at the full advantage. Variety of Android games had been naturally designed with the touchscreen control system. But to really tap into the full immerse of most games it makes more sense using a controller. This makes more sense to games that were actually ported from a console to Android and emulators. My point will shed more light when you play VR games. Using touchscreen control isn't possible –your phone is strapped to your face. There are many Android controllers to choose from in today's market, all sizes and layouts differ. On our list, we really want to focus on the 10 Bluetooth controllers for Android we think are top-notch, despite the price or form factor. First, our goal was to have a rich mix of a variety of shapes, sizes, and layouts. While digging in, however, we found out that most "Ultra-portable" Bluetooth controllers are not that intriguing. That implies most of the controllers on this list quasi in shape and size. However, let's jump right into it. PowerA connects to Android devices really fast via Bluetooth. It has the ability to hold any device up to 3.2 inches with its MOGA arm. MOGA-customized apps can be installed and found through the MOGA Pivet - app. This Bluetooth controller is powered by two triple-A batteries. It includes a Micro-B charger cable and a boost charging cable. It's compatible with Android 2 and above devices. Play any game anywhere with 8BITDO Zero. It's designed to be versatile with up-to-date devices. It smoothly pairs up your controller as a D-input or X-input through Bluetooth. 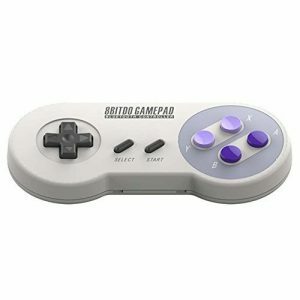 This wireless game controller for Android is made special for SNES30 and 8BITDO SFC30. It has a compelling quality. It's quite easy to use by simply snapping the bracket and put your phone. The device is compatible will all Android phones and iPhones. The Dual classic joystick is quite similar to that of the single. But this time around, it supports dual-mode; a combination of touch screen simulation and Bluetooth keyboard. It also features both USB connection and Bluetooth connection. It's a built-in 480mAh battery. The Dual is compatible with Android, iOS, Mac OS and even Windows devices. The most intriguing feature is the programmable keys for easy setup. Solid Design is another interesting controller to use. It's great with Steam® Big Picture. Other features are 40+ hours of wireless gameplay provision. The device has Familiar layout and size. There are pressure sensitive triggers with clickable joysticks. An AA battery is included. Pyrus Telescopic is my best and concluding this description with it. This controller has a sumptuous finish on the surface for continuous grip when playing. Its ergonomic gamepad is sculpted for easy access to buttons. You can freely adjust; telescopic boom design. It also transfers data by hid protocol. Pyrus has a rechargeable battery and while play it can last 4-8 hours. iPega PG-9017S is a no drivers needed controller saving power when Bluetooth is disconnected. It has a built-in transmission of 3.0 Bluetooth wireless; and up to 6-8m range control. It's compatible for iOS 4.3 and Android 3.2 or above system. It also supports Win7/Win8/WinXP, Android TV and Android TV Box. 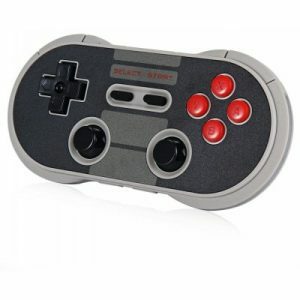 This is a wireless rechargeable Bluetooth Joystick controller and pro gamepad. 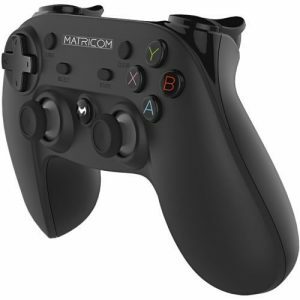 This Bluetooth controller provides masterly smooth gaming performance for your gameplay. It's compatible with Samsung Gear VR, PC, PS3, G-BOX Q, and other Bluetooth input devices. The ergonomic is design for long-term comfortable play sessions. Its rechargeable lithium-ion battery can provide hours of continuous use. Soft & smooth 16 buttons design with two top-rated precision variable joysticks –makes it one of the commonly used gamepads available today. Another most use Bluetooth game controller is Razer Serval. It has a wireless mode of 3.0 meters wide range; the wired mode is about 1.5m Micro USB-USB. It's an adjustable game clip with 4 hyper-responsive buttons. With Satechi the tedious hours of touchscreen controls are over. 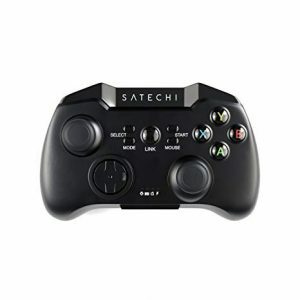 Satechi features an easy-to-use 14-buttons game-controller; power-saving sleep mode; 23ft wireless range; and spring grip for convenient gaming. 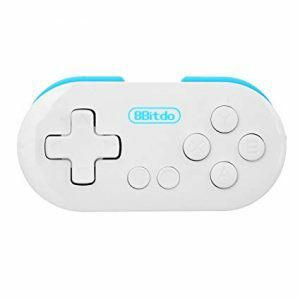 8Bitdo is prominently known for their Bluetooth replicas of stunning game controllers. 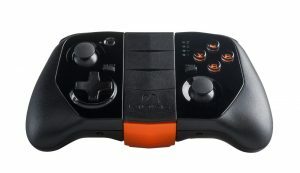 Its pro version is the N30 controller and it ups the ante with tow joysticks for up-to-the-minute games. It has a plush D-pad for emulators; small shoulder buttons and 18-hours battery span. N30 pro is durable and compact. It's compatible with a variety of platforms. Enjoy! This is yet another amaziBluetoothoth controller that works on Windows, iPhone and Android devices. 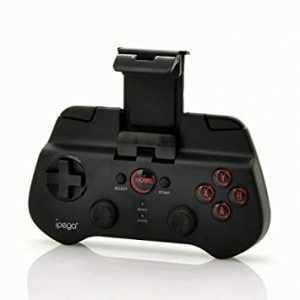 Below is a detailed video review of the Mocute 054 gaming controller for Android devices. Wow! We come to the conclusion of the Top-notch Bluetooth controllers for Android devices. These controllers listed above are prominently used. It's a list of masterly researched most-used controllers across the globe. Thanks for your time and do drop a comment below.